Will Baghdad soon fall as Saigon once did? If it does, then how can we justify the sacrifice of 4,500 soldiers who died to win an against-all-odds victory incomparable to any in American military history? The common factor in the collapse of American interests abroad and domestic defenses at home is the second presidential term of Barack Hussein Obama. You may remember that we re-elected him in that endless stream of media approval punctuated by the Hallelujah Chorus of “General Motors is alive and Osama bin Laden is dead.” Not so fast because while Mr. Obama was leading from behind and presiding over the systematic destruction of American power, our enemies were watching. From Ayman Zawahiri to Vladimir Putin, those adversaries understand very well that power abhors a vacuum. So don’t be surprised that when a stalk of celery presides over our defenses, those enemies will lose little time in rushing forward. Who could blame them for assuming that we’re no longer serious about protecting our interests–except with empty rhetoric and an endless supply of red lines? One of the subtle but unmistakable ironies in the sudden collapse of Iraq is that against all military advice and simple common sense, Al Qaeda was allowed the priceless luxury of time and space to recover from its disastrous defeat in Anbar province. American military power was completely withdrawn two years ago, leaving our investment of treasure and blood unprotected. Even worse were the characteristic ebbs and flows of the administration’s alleged policies on Syria, which translated into simple indecision. The resulting power vacuum allowed Al Qaeda to metastasize into a regional threat that now includes parts of both Syria and Iraq, nicely augmented in recent days with American weaponry and sophisticated equipment left behind for our overrun one-time allies. While Americans are notoriously indifferent to foreign policy, we pay attention when bad leadership leads to disaster, when the lives of our soldiers are wasted–and especially when those mistakes abroad come home to roost. All of those elements are present in today’s national security crisis, just as they were on September 12, 2001, when we last began to examine first causes. Last year, Egyptians found themselves in eerily similar circumstances, taking to the streets to demand that their military oust the deeply oppressive Muslim Brotherhood government led by Mohammed Morsi. In closed-door meetings, senior Egyptian military leaders have told me how their decision to oust Morsi was the country’s only alternative to civil war, even its survival. Recently, Egyptians elected as their new president Abdel Fatteh Al-Sisi, the former general who led that coup. Upon being sworn into office, his first official act was a resounding pledge to Egypt’s women, vowing to punish those found guilty of sexual assaults. Mr. Obama, notorious for siding with the Morsi regime, dismissed the popular revolution, reversed a generation of American statecraft, and ushered the Egyptians into a budding new relationship with Vladimir Putin. Unlike Egyptians, Americans have two hundred years of constitutional history to sustain us. 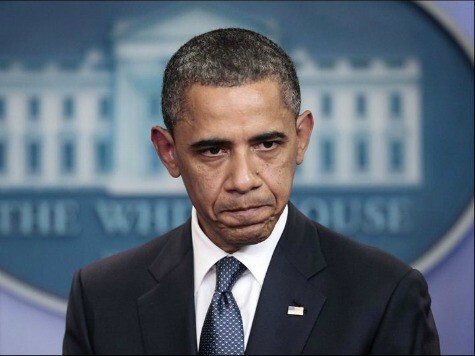 That history bequeathed us with a presidential rather than a parliamentary system, where the government of Barack Obama might be instantly terminated through a no-confidence vote. Instead, we must be patient and determined, recognizing that history judges nations by their coolness in moments of danger just like this. But these latest events highlight earlier, troubling indications that the Republic’s leadership was going awry, that heritage had given way to expediency.